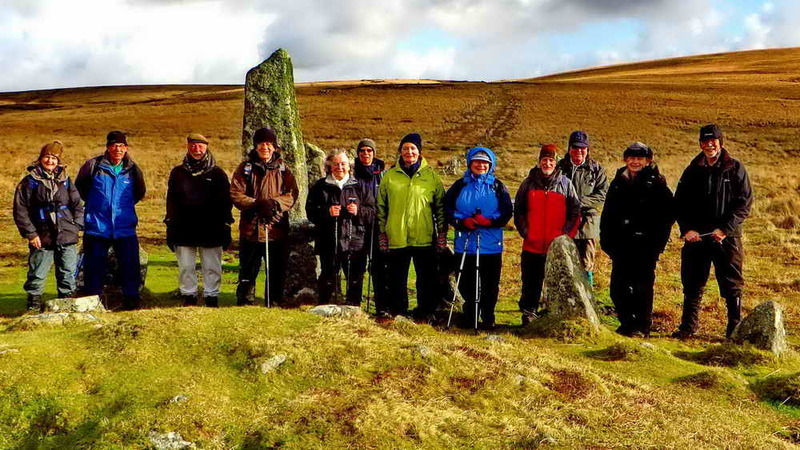 On Thursday 25th January, the Short Walks group met at Bal Mine car park, Norsworthy Bridge, with some belated “Happy New Years” being exchanged. For once, since the turn of the year, the weather was quite fine although there was a short hail shower near the end of the walk. Cart and wagon turning bay. The first photograph shows a view from a field into Middleworth Lane, which is very near the car park, looking into the unusual turning bay in the far hedge that enabled a horse and cart, or perhaps even a horse and wagon, to be turned from the narrow lane into the field gateway. The walk continued past Middleworth (first recorded 1281) and Deancombe (first recorded 1317) – these were described in the August 2017 walk – out to Cuckoo Rock. We reached the rock by turning left immediately after the Deancombe buildings and climbing up through two fields and then walking along the contour to the rock. This avoided the currently very boggy section along the direct approach. 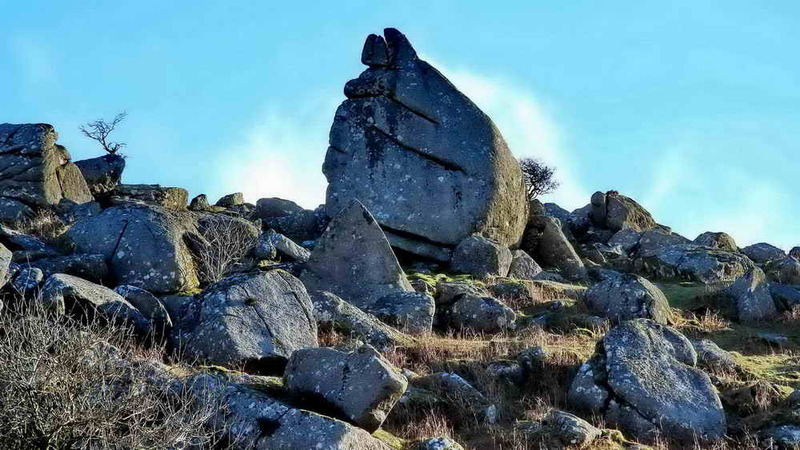 The name of the rock is said to have derived from the local farmer always hearing the first cuckoo of the year calling from the rock. Another explanation is that it looks like a cuckoo’s egg in the landscape. As there was a stiff breeze, blowing, we had our coffee stop behind the rock. 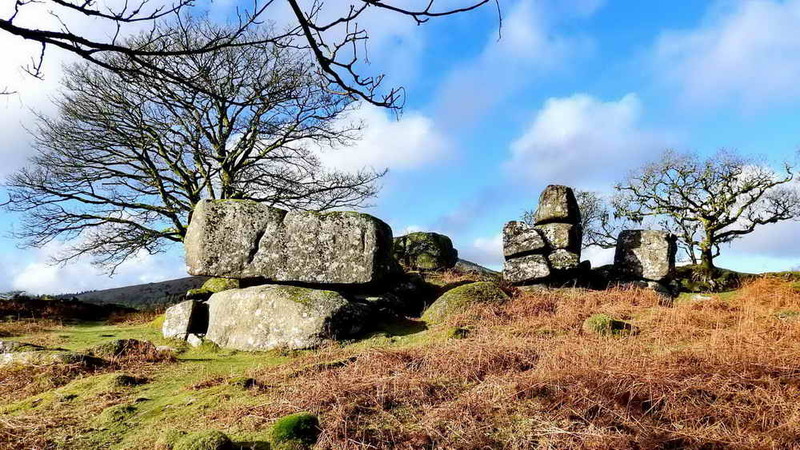 There is a very pleasant picnic spot behind Cuckoo Rock with fine views to Sheep’s Tor and other directions. During the walk last August, we looked at a cist on the flat, “yellow” ground towards the top left of this photograph. from there, we saw Cuckoo Rock and the ridge and furrow fields of Deancombe. 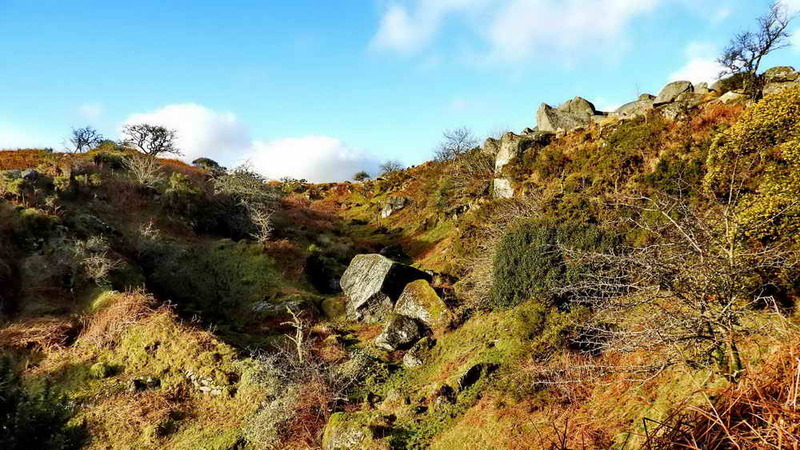 The next objective was the nearby Combshead Tor, elevation (371 metres (1217 feet). This was a flying visit, to fully explore the tor would tke a while, there are several nooks and crannies as well as little shelter spots to explore. Down Tor cairn circle and stone row, aka Hingston Hill circle and row. Not far from the tor, we came to the cairn circle and row, which is an impressive monument. The circle has a ruined burial cist in its centre and one can only ponder who merited such an honour. There are the usual archaeological records to be found but they do not mention an interesting aspect of the design and layout of the stones. 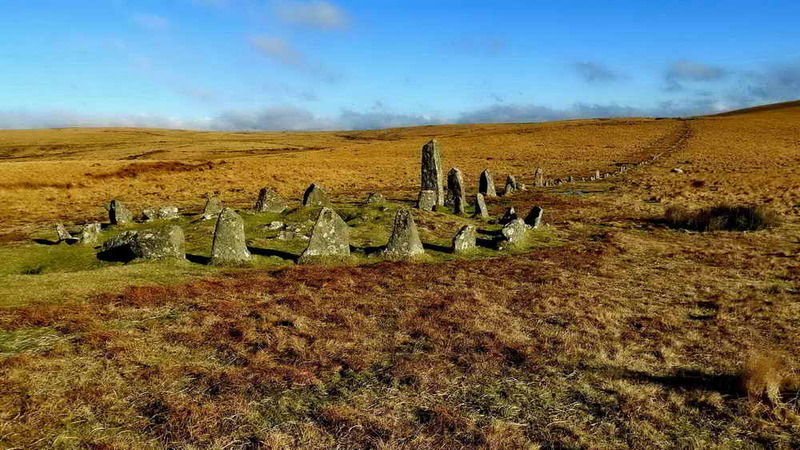 It has been suggested that this is one of the Dartmoor monuments that has alignments with the sun, with Merrivale being the obvious one (for the solstices and equinoxes, plus the rows could have been a calendar for fortelling the events). Drizzlecombe appears to be just a midsummer sunrise arrangement until someone identifies any other markers of use at the site. The stone row here is said to align with midsummer sunrise, with a curvature in the stones at the “east” end that might mark the rising sun until its disk is fully above the horizon when alignment proper occurs. Stonehenge apparently only aligns once the sun is fully risen. Here, there is a cairn near the circle that aligns with midsummer solstice sunset. The group at the circle and row. Most of the photographs in these articles are taken on reconnaissance walks on days chosen for some sunshine, but even on this day there are shadows cast. 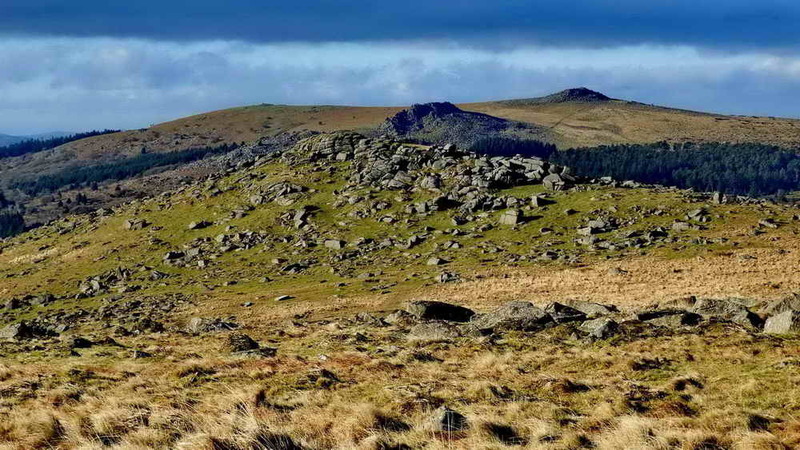 Down Tor, Leather Tor, Sharpitor and Peak Hill. 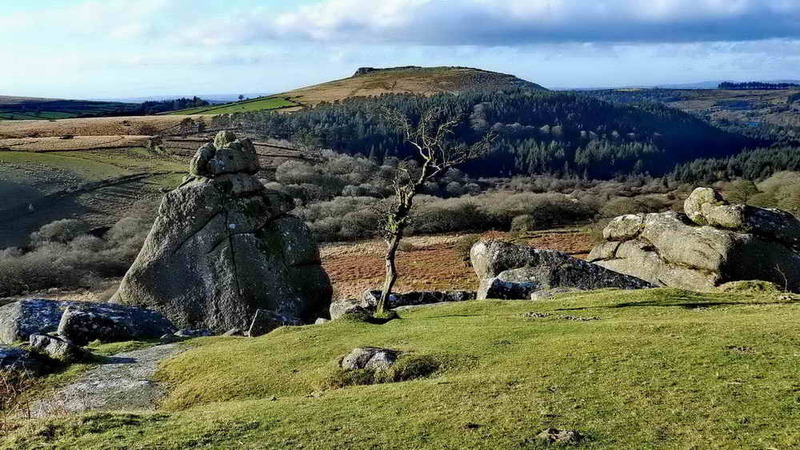 Poised rock below Little Down Tor – 1. 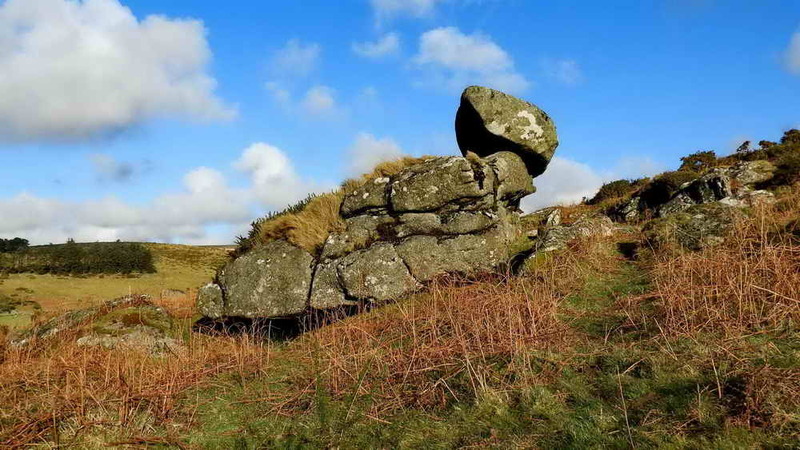 A poised rock can be found near a path below Little Down Tor returning to Burrator, it is best found by “keeping right” when choosing from the paths available, it is a rather small tor and looks quite unimpressive …..
Poisd rock below Little Down Tor – 2. ….. until you reach a certain viewpoint. 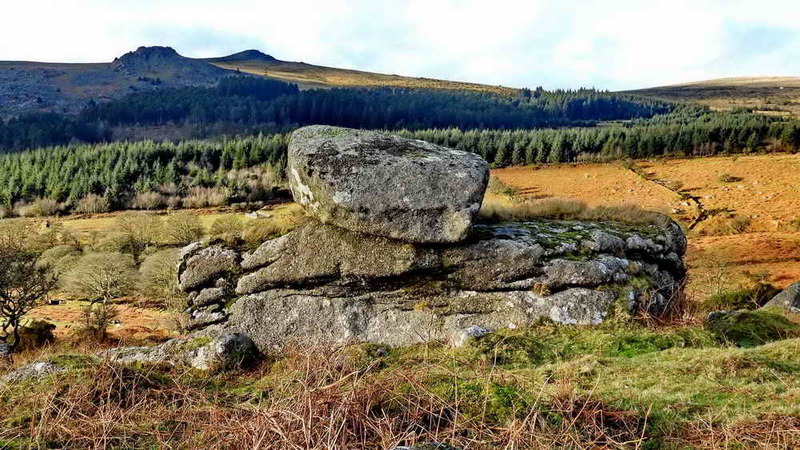 Then, it is seen to have a poised rock although it isn’t known as a logan stone (although this might be disputed). Now we come to the topic of Snappers Tor. There are two tors overlooking Middleworth that have both been called Snappers in books and on blogs. 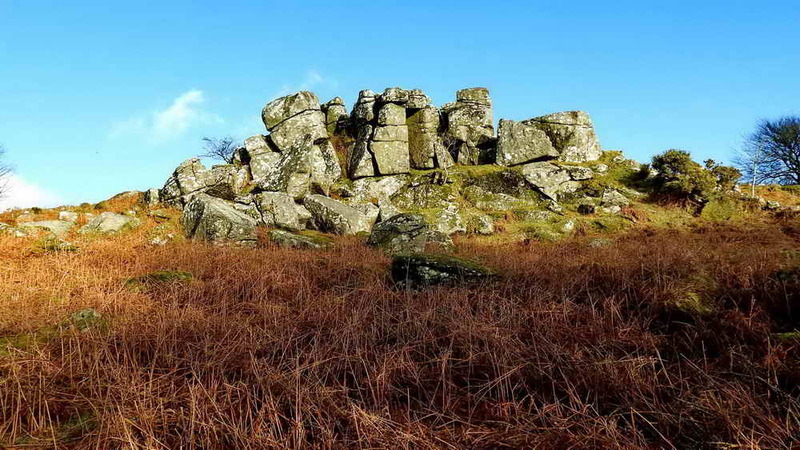 Mike Brown has postulated that a certain nearby ruined tor was qualified for the name (M Brown (2001) CD-ROM Guide to Dartmoor, 5761 6922). The 1905 Ordnance Survey map below shows a tinners’ gert where I have placed a blue circle roughly where the tor was. It was obviously a structure composed of rocks a s large as other nearby tors. Something to note on the map are two adjacent fields, numbered 1110 (above the gert) and 1095 (alongside and below the gert). The numbers are from the surveyor’s handbook. 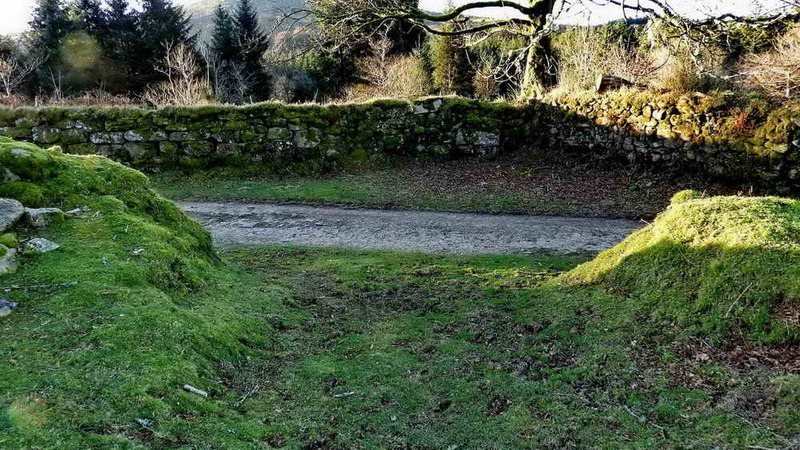 The ruined tor is also mentioned by Eric Hemery (page 106), but without Snappers-related comment. The photo above gives an impressions if the gert – the large, angular rock near the centre was measured with 5-foot pole to be about ten feet in height. The gert is 30-40 feet in depth in places. To continue ….. 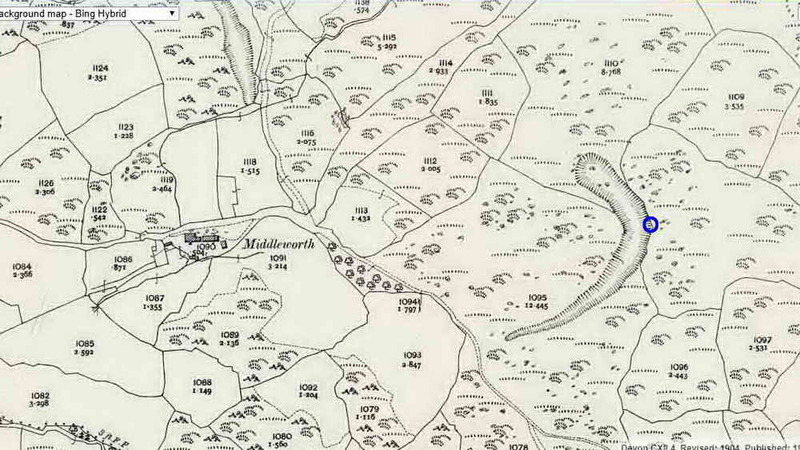 The Walkhampton tithe map shows the fields in the OS map (numbered there as 1110 and 1095) as 1074 and 1096. 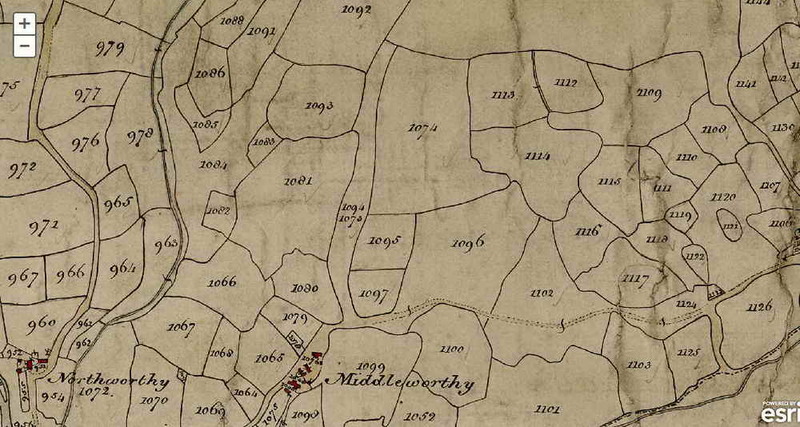 In the Apportionments lists, the fields are both called Snappers, with one assigned to West Middleworthy and the other to the Middleworthy tenement. So this could be the reason that “Snappers” has been something of a mystery. Above, is the large tor that overlooks Middleworth and that could claim to be Middlworth Tor on the grounds of its imposing presence in the area. This is the fairly small tor that also overlooks Middleworth, by now the reader is qualified to choose their own names for these two tors! Middleworth barn seen from Little Middlewoth Tor. 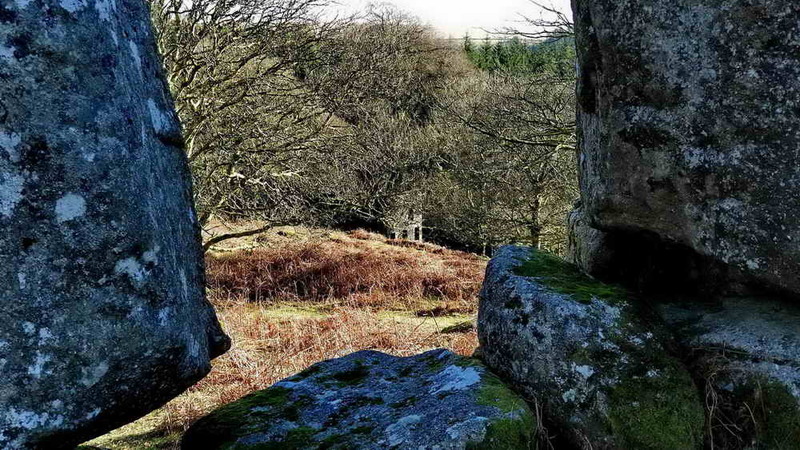 The final image is a view from Little Middleworth Tor (i.e. the previous photograph) looking down on the restored barn, from when the farm was rebuilt in 1885.